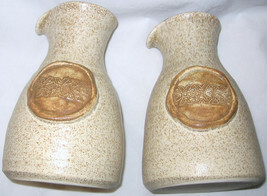 Home » ClothesStuffRUS » LOT OF 2 CLEE ETON WINDSOR POTTERY JUGS 6 1/4" FREE SHIPPING USA. LOT OF 2 CLEE ETON WINDSOR POTTERY JUGS 6 1/4" FREE SHIPPING USA. $18.69 This item is selling for $18.69 on eBay.